A simple, yet striking presence for contemporary style homes, Gyprock Alto cornice presents a deep 90mm profile with smooth surfaces complemented by a crisp shadow line at the ceiling. 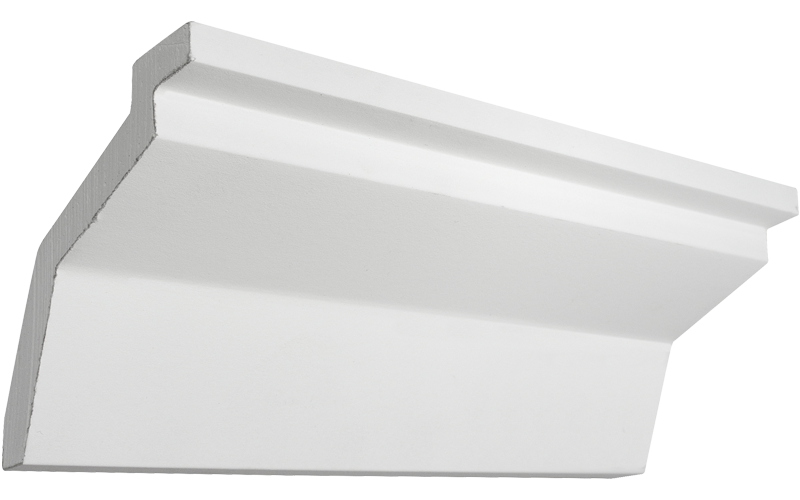 While cornice effectively bridges the junctions between walls and ceilings, its purpose extends beyond function, providing the perfect finishing touch to the aesthetic harmony of a home. Gyprock Alto’s clever 10mm step along the ceiling edge creates a crisp shadow that perfectly complements a modern designer space. When balanced with other interior design features such as architraves, skirting and even door hardware, Alto cornice can help make a striking style statement in a home. For a more simple style in utility rooms and bedrooms, Gyprock Aria™ is the ideal complementary cornice choice. Alto’s linear geometry and smooth surface make it the perfect choice for contemporary living spaces. Alto is effective in hallways, living and entertainment rooms. Aria Cornice is manufactured by CSR Gyprock in Australia to stringent product specifications. For information on any known risks and how to handle Gyprock products, please refer to the product packaging and/or the accompanying documentation, or download the products Safety Data sheet.